Builder/Owner: John Stewart of Burlington, CO.
Builder/Owner: Larry Feldhousen of Burlington, CO.
\n(photo courtesy Van\'s Aircraft, Inc.). Several more photographs of this airplane can be found HERE. Started 2/12/2006. By 6/8/2006 I\'m almost at 84 spectacular hours. \r\nMy site at http://www.MyRV10.com has lots more info on the project. Will be at OSH for sure. Look me up if you\'re a -10 builder! 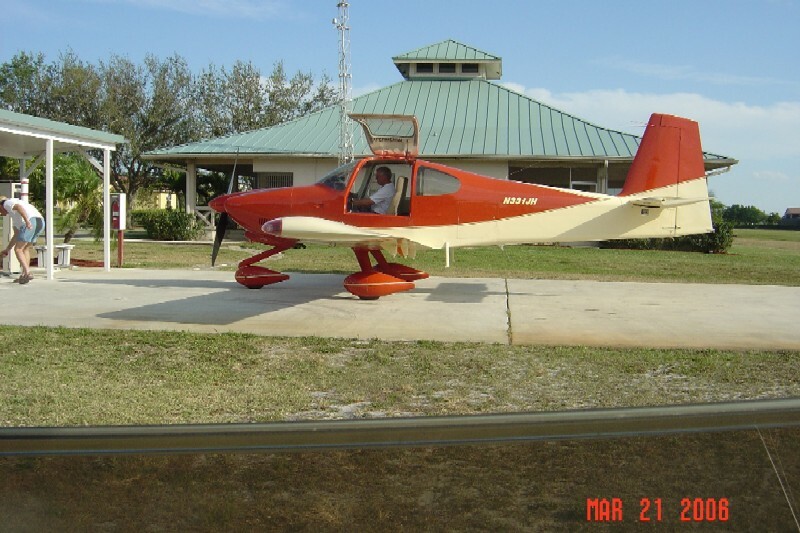 Here\'s a few pics of my FLYING RV10. One year project from start to finish including paint. Inspected on 9 April \'07 and 1st flight flight was the 28th. \r\nI\'ve put 10.1hrs on it the first week and will continue with the test flights tomorrow....no squawks....period. \r\nI need to say that this airplane is absolutely NOTHING like the RV4\'s, 6\'s, 7\'s, & 8\'s that I\'ve flown....it reminds me of a flying Cadillac :^) !! \r\nPerforms \'as advertised\'.....and then some! \r\nPowered by a brand spankin\' new Mattituck TMX IO-540. \r\nYes.....it will be parked at our Ohio Valley RVators Formation Clinic next weekend. \r\nYes.....everything is for sale :^) . \nwas an aluminum SEAT washer that the pressure check ball fits into. \nhome and the landing gear would not go down!!!!! \ndays!!!!!! Oh yea......today we had a HOT mag....the P lead broke off. \nhave a few friends that want a RIDE! \nwanna thank those who MOTIVATED us to build a great plane on a BUDGET. \nOfficially a member of the RV10 Flying family. WOW! 8 yrs later.... 40176 has been transformed into a flying machine. Bob, that is one nice looking plane. \r\nYou should be proud, very proud. 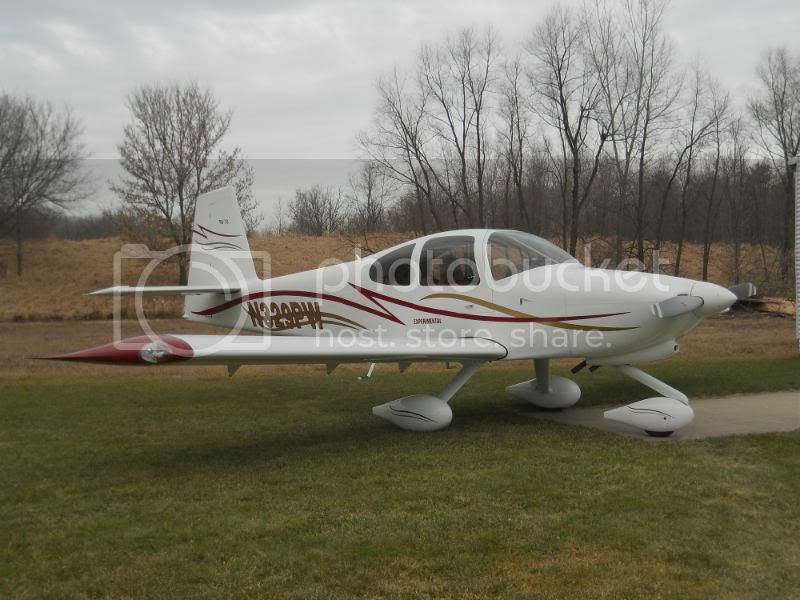 \r\nI have started building an RV-10 in Northern NJ. 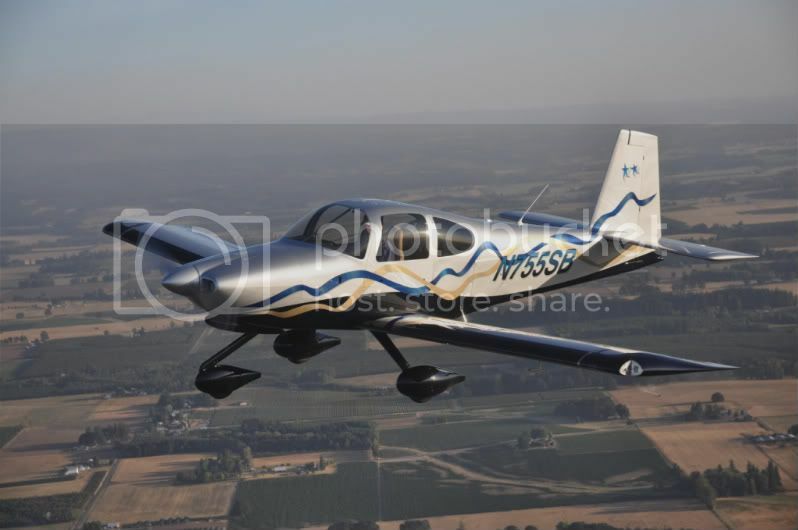 I would like to generate a 24-26 inch wide by 38-40 inch high (movie marquis) poster of a flying RV-10 and then edit the picture to add/show the specs as posted on the VANs website. I may also show an insert of a proposed finished panel. This would be displayed in a back-lit movie marquis sign with a "coming Soon" title as you enter my workshop. 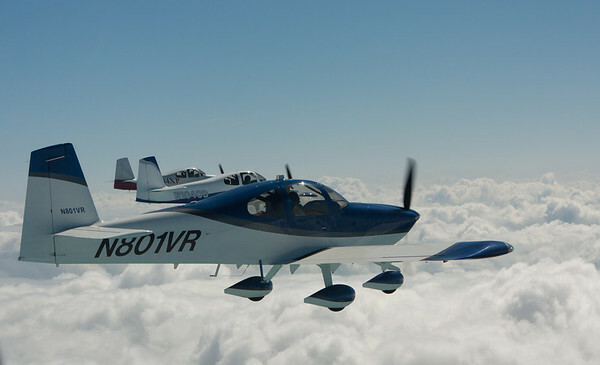 The problem is I cannot find any high resolution pictures of flying RV-10s. VANs sent me a great picture, but when blown up, it has too much pixilation. I noticed this group has some pictures posted and you might be able to help me with a picture in high resolution. \r\nThank you in advance for any support. \r\nBrandi snapped this photo from our plane when we flew to the Bahamas. 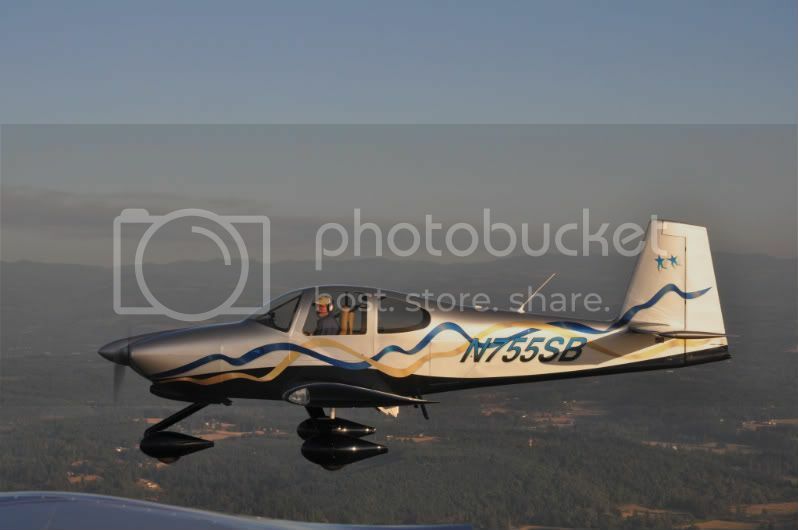 Its one of my favorite of in-flight RV-10\'s. Here is a link to the full resolution shot. Not sure if it will be high enough resolution. Scott Schmidt has been known to get some great high resolution photos so you might try some of his stuff. \r\nI recieved my airworthy certificat on 7-21-06 from DAR Ted Gauthier. Very through and professional and explains every phase of the flight process. \r\nfinished putting inspection plates and seats in today and launched off for the first flight. Everything worked well during the one hour flight. during the first landing when I used the hat trim switch it Quit and the #5 cylinder cht and egt redlined on the GRT. \r\nLanded and took the cowling off, a little oil leak fixed, removed the fuel injector and it was partialy clogged with some forgien gunk from some where. \r\nThe realay in the CH products stick grip burnt out, this is an ongoing problem from what I understand with no fix from CH products they refund $40.00 and you are on your own. \r\nOther than that a PERFECT flight. Time to go for the second flight before it gets dark. First flight for 3135F Went out for and hour and what a rush great flight and nothing bad to report, other than I can\'t get the RV grin off my face. It may be permant. \r\nAlthough I\'m not flying yet, I used a relay bank I made from relays I bought from McMaster-Carr for my aileron and elevator trim. From what I can tell there are not any relays in my CH stick. Is it possible that they eliminated them from newer models? My grips are 4 months old. The wiring diagram that came with the sticks showed the sticks hooked up to a trim relay board from Ray Allen I think. I have heard other say they had relays in their grips but I have straight swithches from what I can tell. First flight 10-09-06. Picked her up from paint 11-28-06. This is one of the few times she\'s been sitting still Everything I hoped for and more. Thankyou Vans! (Also thanks to all the RVators for their helpful input) Barrett Performance IO-540X, MT Prop, Dynon EFIS and EMS, TruTrack IIVSG, Garmin 430. \r\nN888FF has 65 hours and first flight was June of 2007. \r\nPaint was applied by Advance Aircraft Refinishers (Griffin GA) by Tony Diaz. \r\nYou may remember Advanced Aircraft Refinishers as they painted the 2007 AOPA "Catch a Cardinal" as described in 2007 AOPA Magazine. 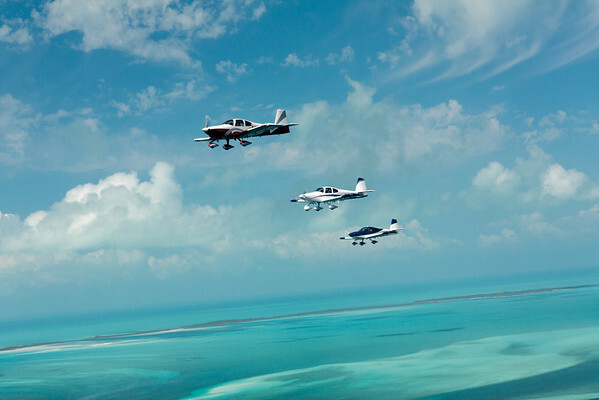 \r\nThe RV1O is a great aircraft and performs as per Van\'s performance numbers. 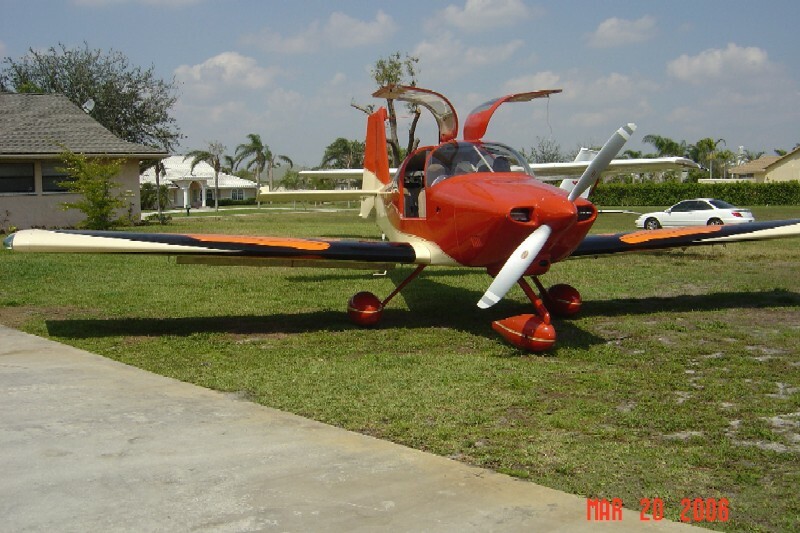 \r\nVery nice looking job on your RV-10. \r\nWas wondering, what the intake in front of the vertical stab is for? Mark, it\'s a beauty! How about a shot of that awesome panel? \r\nHow much for that nice paint job? \r\nbut not "finished" until it came out of the paint shop in March 2009. \r\ncredits to Brian Hickman, photo ship piloted by Rob. \r\n(Yes, I have an AFS 3500 in the panel!). Looks great Dan. As usual, your aircraft are extra nice! Let me know when you need a safety pilot again....! You didn\'t happen to be the CFI, did you? It looks great. Tell your wife congrats.